Scazzero found two truths to be true: you can't be spiritually mature while remaining emotionally immature, and unless you slow and quiet your life down for a direct relationship with Jesus Christ, little change is possible. The integration of these two truths unleashed a spiritual revolution in Scazzero, in his church, and now in thousands of other churches. 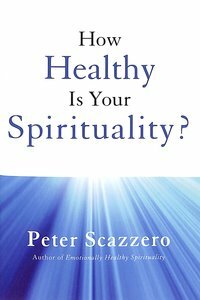 About "How Healthy is Your Spirituality? : Why Some Christians Make Lousy Human Beings"